Ryanair, Europe’s No. 1 airline, today (23 Feb) launched its biggest-ever London winter schedule (2017), with 3 new London Stansted routes to Aalborg, Oradea and Pardubice, 6 new winter services to Cagliari, Copenhagen, Naples, Nice, Oslo Torp and Ponta Delgada, more flights on 13 existing routes and over 140 routes in total, which will deliver 23.8m customers p.a. in total at Ryanair’s 3 London Airports, supporting 17,000* jobs. 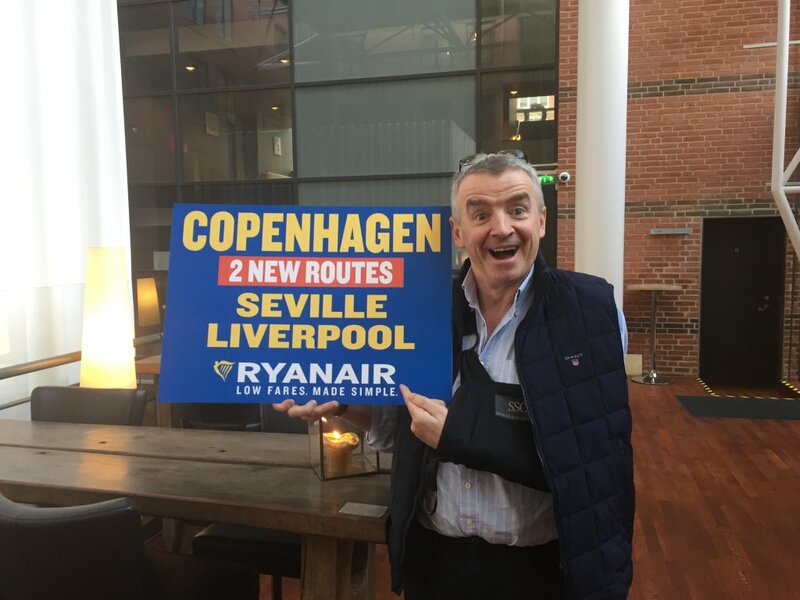 Ryanair will continue to connect London with major business centres on high frequency, low fare services including Berlin (4 daily), Dublin (18 daily), Edinburgh (4 daily) and Madrid (4 daily), with better timings and lower fares, making Ryanair the ideal choice for London business and leisure customers and visitors, and these new routes will go on sale in February 2017. Ryanair’s London summer 2017 schedule is attracting record bookings, with more frequencies to sun destinations for summer family holidays, lower fares as Ryanair passes on lower fuel costs, and an even better customer experience, as it continues to roll out its “Always Getting Better” improvements.